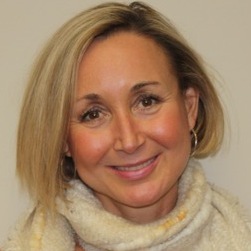 Dr. Ginny Ritchey is a licensed clinical psychologist at the Summit Center. Dr. Ritchey has spent the last 20 years providing a wide range of services to children of all ages, their families, and professionals within the home, school, and clinical settings. Previously, she worked as a behavior analyst at Anova Center for Education in San Rafael, a behavior consultant at South San Francisco School District, and a program manager and supervisor for in-home programs that serve children with Autism in the Bay Area and in San Diego. Dr. Ritchey has been trained to provide psychoeducational assessment, counseling to children and their families, and consultation to educators and administrators. She earned her doctorate in Educational Psychology from U.C. Berkeley and has a credential in school psychology and a certificate in developmental psychology. Her areas of interest include neurological and behavioral childhood diagnoses such as Autism, ADHD, anxiety, and childhood depression; social skills development; parent and school consultation; and academic and intrinsic motivation. Dr. Ritchey is passionate about her work and is constantly inspired by the strength and resiliency of the children, parents, and educators that work with her. Dr. Ritchey also maintains a private practice as a clinician and educational consultant in Marin County.